Living in a relatively warm country, I’m not used to really cold weather, but since I’m going to visit Berlin in 10 days for the Neonyt Fair Fashion Week (OMG! I’m so excited! ), I started looking for some of the warmest, coziest sustainable vegan coats to snuggle up in for my trip. Thing is – it was harder than I thought. Guys, I want to share some thoughts with you. 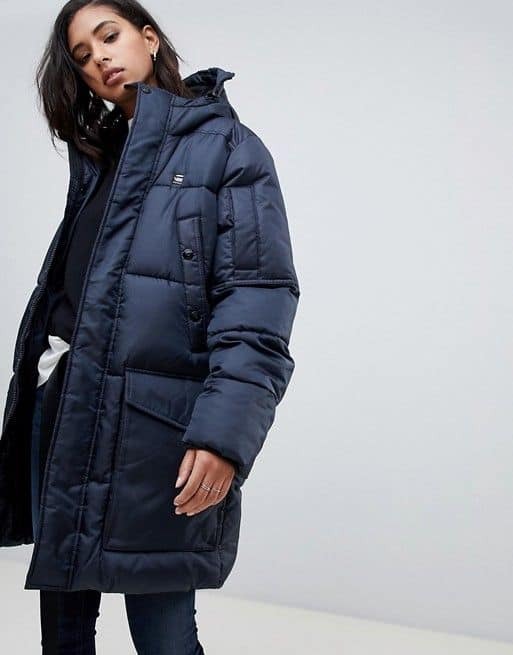 While vegan, ethically-made outerwear pieces are quite easy to find, finding ones that are eco-friendly is so, so hard! When you think about it, when something is harming our planet, it is harming not only us, but also all animals and beings living on it, too. 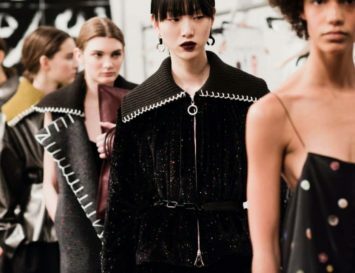 It was quite a challenging task to find brands who didn’t use newly created nylon, modacrylic, or polyester to create their coats. While I found many brands who defined themselves “sustainable”, I was shocked to see that despite using that term, they still use non-biodegradable materials. In short, being vegan alone doesn’t mean being eco-friendly, and if you really care about animals, you’ll want to find brands that are both. It’s obvious, right? Luckily, there are a few awesome, innovative companies out there really making a difference – Ovide, who made my cork jacket below, is one, for example. But there are more: here they are, along with the styles I’ve got my eye on for Berlin! A chic, neutrally coloured trench coat should be a staple in every wardrobe, and Stella has managed to give it a beautiful, unique twist with the nice pleated volant detailing. It is made with 100% cotton, which is lightweight and breathable and would be perfect for those days when it’s not that cold. You can wear it with literally everything forever, as it is so versatile. I’d pair it with some dark jeans and a neutral sweater- how about you? Let me know in the comments! The oversized, long trench coat is such a chic way to add some drama to your look without being too much! Elementy Wear is a Poland based brand offering chic and timeless pieces such as this gorgeous double-breasted coat. 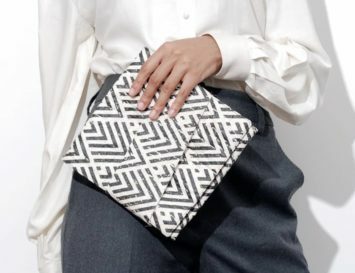 I love the Asymmetrical flap in the front and the large, useful pockets. Christopher Raeburn is a British fashion designer, known for reworking surplus fabrics and garments to create menswear, womenswear and accessories. 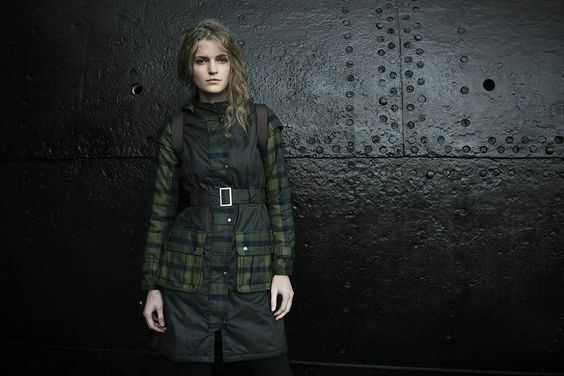 This gorgeous mac is crafted from deadstock military grade ripstop nylon – it used to be a parachute, basically. How cool is that? 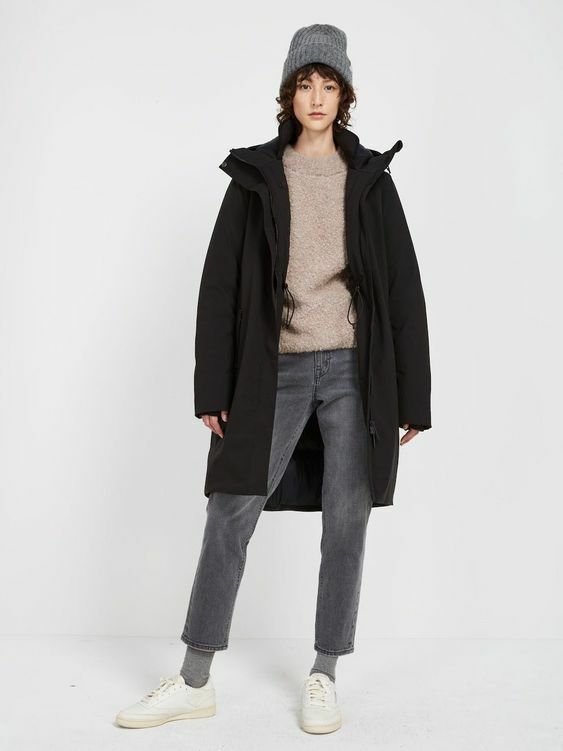 This thick and heavy parka was made with recycled polyester and will keep you warm without giving up style! Navy is one of my favorite colours for this cold season, as it’s a neutral colour that goes with everything – but is a bit more lively than black and white. I feel like this is one of the best options if you are living in a very cold place. Pros: Great colour, recycled materials Cons: A bit puffy to pack for trips? This cool black parka was designed to mimic down without hurting animals. It’s black and timeless, water-proof and will provide you with all the warmth you’ll need during the cold winter months! It has hidden pockets inside as well a huge outer pockets that will allow you to keep your hands warm and your stuff safe. 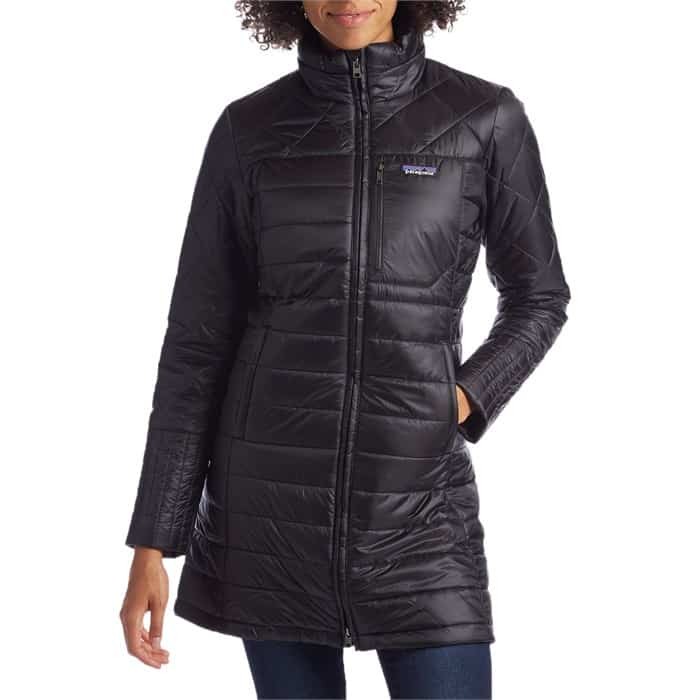 Patagonia is one of the most known brands for outerwear, and while they are not 100% vegan, they do offer some vegan coats that are made of recycled nylon and polyester. This coat is lightweight and has beautifully quilted details that make it even more beautiful, modern and feminine. All you need to do now is to choose your favorite color! Pros: Classic, feminine fit, eco-friendly materials Cons: Strict vegans may not be happy buying from a non-vegan company – but that being said, Patagonia does loads to help save the planet, like this. Tretorn is a Swedish outerwear label That offers an eco-friendly jacket collection created from recycled ocean waste and plastic bottles. The very chic, Scandi, high quality, eco-friendly rain jackets are guaranteed to last right through winter saving on the countless cheap and cheerful traditional plastic waterproofs that have a high possibility of ending up in landfills. 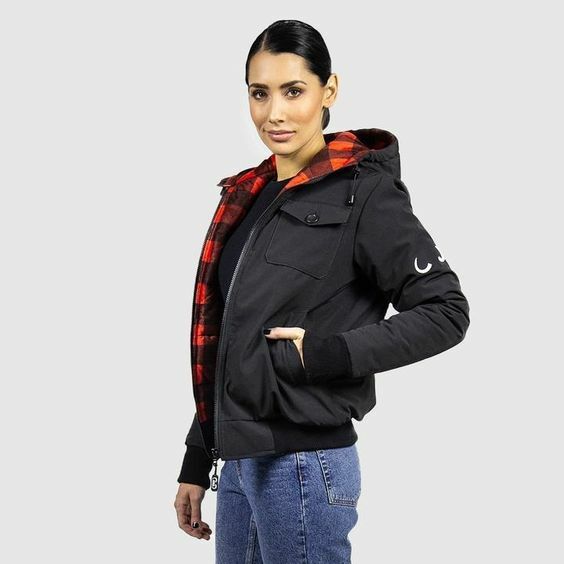 Wuxly Movement is a vegan, ethical and sustainable brand based in Canada, specialising in outerwear. Their bomber jackets are designed and made in North America, and this one, in particular is the coolest, if you ask me! It’s a classic bomber that will probably serve you for years to come. I really admire this brand for their transparency and commitment to the environment. 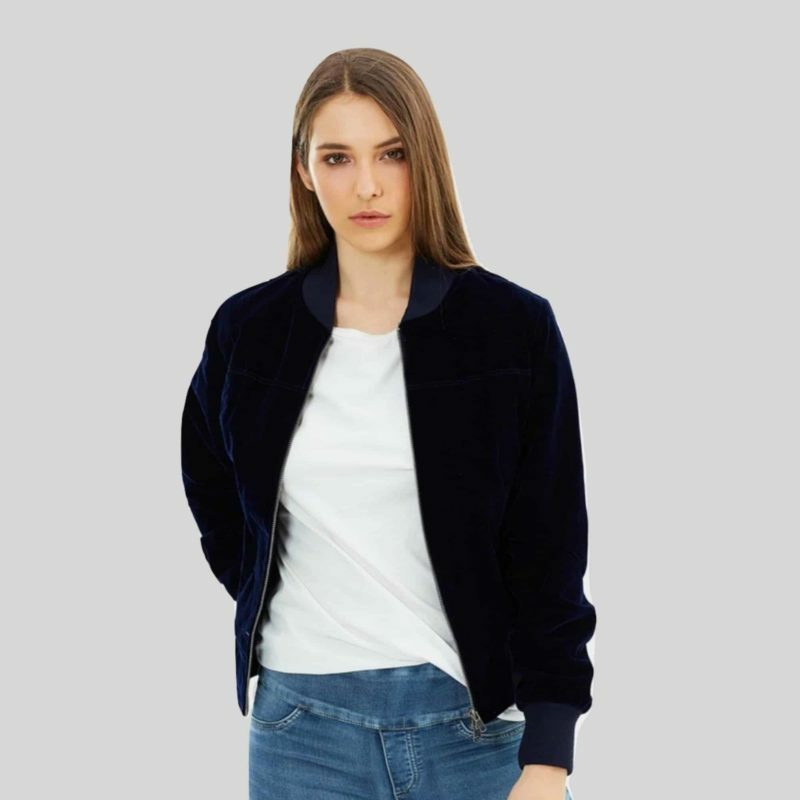 James & Co is an Australian, vegan, fair and sustainable brand offering lovely outerwear garments, like this stylish bomber jacket! It’s made with vegan velvet (not all velvet is vegan!) and has a classic rounded collar and casual tailoring. Hoodlamb is an Amsterdam Based brand specialized in creating vegan, sustainable and ethically made outerwear from hemp, which is known for its sustainability, durability, and comfort. They have many coats to choose from for different climates and temperatures, and if you are looking for a specific outerwear garment, you’ll probably find it there!